On the lookout for pvcu window fitters in Leeds? Our upvc double glazing fitters in Leeds will be able to offer you the best quotations to have A rated replacement windows fitted in your home. Fitting double glazed house windows in your own home will take less than one day, creating minimal hassle and disruption. Expert double glazing firms in Leeds will measure your house windows and fit the glazing, instantly saving you money on energy expenses. Double glazing is designed to save by retaining heat in your home. Remember that you'll make great energy monthly bill and carbon emission savings with A ranked replacement windows in Leeds. We will present you with no obligation quotations from firms in Leeds who will be equipped to give you free surveys to work out the price tag on upvc double glazing and help you begin making savings today. Then you're able to contrast these quotes and figure out the best double glazing cost. This West Yorkshire city has got the second largest population in Britain as well as being the Uk's largest centre for business, legal, and financial services outside of London. The city has gone through plenty of remodelling in the past 60 years, with a great number of houses constructed and the clearance of slums. Although the city holds a modern-day lure, there are numerous house improvements that need to be finished. Fitters of replacement windows (A graded windows, secondary double glazing, new windows) in Leeds. They'll present you with quotations in Leeds for the setting up double glazed units. Quotatis are wholly commited to getting you the best deals in Leeds by comparing over 100 suppliers. An extremely helpful rep. but who promised what was not delivered such as re-fixing the burglar alarm and the price which was pushed up £400 later for scafolding. Not followed up due to quoting ~£1000 more. Easy to compare quotes. Note that safeglaze did not honour their quote due to insisting on ~£400 for scaffolding. Every house in my cul-de-sac has had the same work done without it. Your business is brought into disripute by introducing such a company. We noted 23,622 requests for property double glazing quotations in Leeds. Of these quotation requests the number of double glazing quotes in Leeds was 320. Quotatis would have been able to match these customers with up to four suitable installers who were available for work in Leeds at that time. Request a free home survey from reputable companies in Leeds. The pie chart underneath shows the UK's population based upon regions. Britain's total population is greater than 62 million, with the biggest percentage of occupants in the South East, Greater London and North West regions. The table under the pie chart indicates the UK's population in regions as a figure. As you can see, both the South East and Greater London have more than eight million occupants, while Northern Ireland and the North East include the fewest inhabitants. With the information below you can view the number of solar panel installations there have been in Leeds. Solar electricity is continuing to grow in popularity and lots of homeowners are now looking to have this renewable technology set up on their rooftop to reduce energy bills and generate a tax-free income. Why not see if you can join the 1000s of UK property owners generating their own green friendly energy. The UK house market has slowed down slightly in the last 10 years as more people opt to stay put rather than relocate. This is primarily because of the large expenses associated with moving and people are opting to build conservatories or alter rooms in the house to get more space. The info underneath shows the house market for the past 7 years and exactly how many homes have sold within Leeds. Due to the large costs linked with moving home, many people are now looking to stay put rather than relocate. 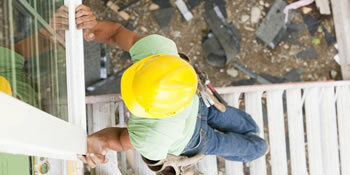 Home enhancements have become far more popular as people look to improve their home. Have a home improvement project and need a quality installer? Quotatis will help you find the best installer in Leeds and nationally, so you get the best possible value for money. Simply search for your project and request up to 4 quotes.